Organized neurosurgery in India started in 1951 with the formation of the Neurological Society of India (NSI). Essentially, this society was the first superspecialty group in medicine comprising of clinical neuroscientists of India. The character of the Society has changed over the years with the formation of the Indian Academy of Neurology as well as separate groups with multiple specialty doctors in Neurosurgery also starting their own societies. The present mandate of the organization is to promote educational opportunities for residents, young members, and practicing neurosurgeons. Organized neurosurgery started in India with the formation of the Neurological Society of India (NSI). As Ayn Rand has written, “Throughout the centuries there were men who took the first step down new roads armed with nothing but their own vision,” Dr. Jacob Chandy, Dr. Baldev Singh, Dr. S.T. Narsinham, and Dr. B. Rammamurthi were responsible for the emergence of the idea to form the NSI in 1951 [Figure 1]. Dr. Jacob Chandy was nominated as the first President, B. Ramamurthi the Secretary, S.T. Narasimhan the Treasurer, and Baldev Singh as the Founder Member of NSI at its inception. Prior to the formation of NSI, both the neurosurgeons, Dr. Chandy and Dr. Rammamurthi had started solo practice during the previous 2 years along with the help of neurologists and neurophysiologists. 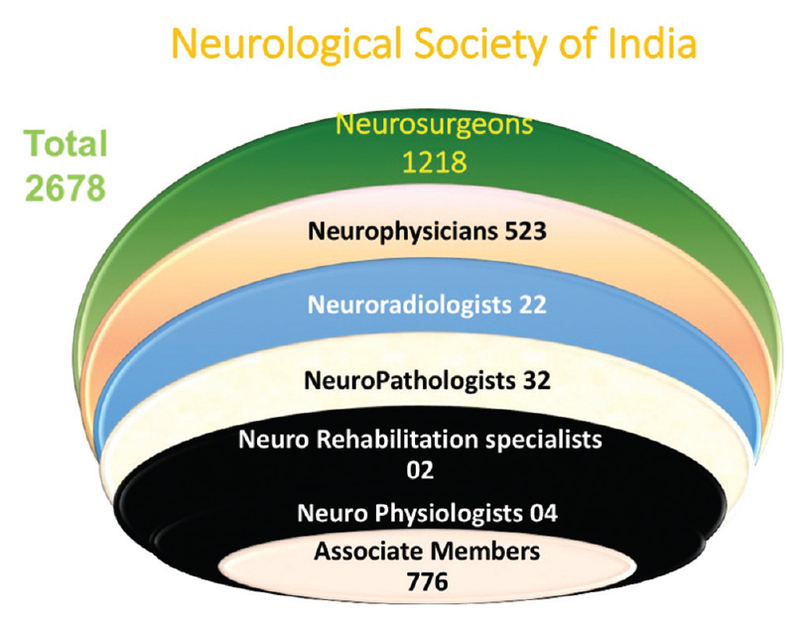 Today, NSI has grown into a large society consisting of more than 2000 members, with over 1200 neurosurgeons and approximately 600 neurophysicians and 200 other neuroscientists [Figure 2]. The Society has held its annual meetings every year for the past 61 years, with the exception of 1989, when the World Congress of Neurosurgery took place in India. NSI was also the first society to start a Continuing Medical Education (CME) program in 1974 on the first day of the conference, which has since become the highlight of the program with selected talks being published in the annual book titled “Progress in Clinical Neurosciences” [Figure 3]. To formulate a code of conduct for its members. There are many “ firsts” which can be attributed to the NSI apart from being the first Society to start its annual conference on a regular basis (with the first meeting being held in 1974) with a CME program. Thus, it was the first society in India to attempt to achieve higher standards by organizing courses to impart adequate training to those who were already qualified in the various branches of neurosciences. It was the first organization to support formalized training programs in Neurosurgery with the first superspecialty MCh Neurosurgery exam being held in 1961 at Vellore, and DM Neurology exam being held in 1969 at Madras. 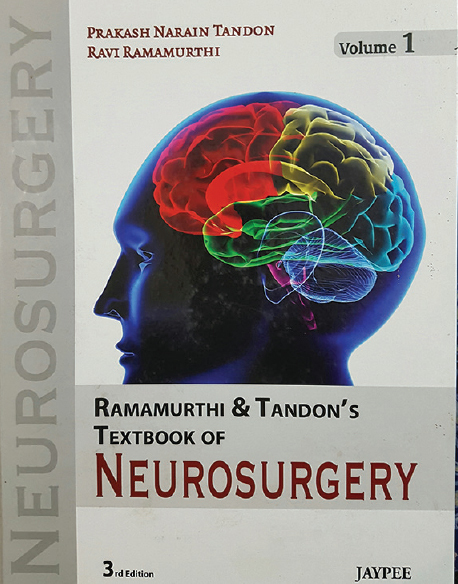 It is the first Society to publish an “Indian Text Book of Neurosurgery,” which was commissioned in 1972 and released by Dr. P.N. Tandon and Dr. B. Ramamurthi in 1979 [Figure 4]. 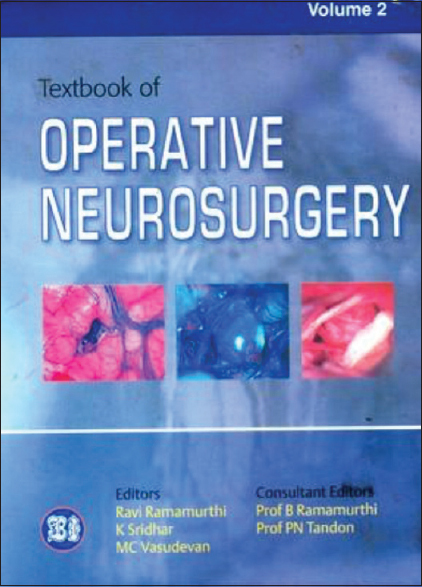 The 2nd edition of this “Bible of Indian Neurosurgery” was published a decade ago, along with the “Indian Textbook of Operative Neurosurgery [Figure 5].” There are plans to launch a “Handbook of Neurosurgery” by the next year. The Education Cell was created in 1985 by Dr. P.N. Tandon and was revived in 2011. It is also the first medical society to introduce travelling and visiting fellowships to young doctors for attending training programs and observerships. It is also the first super specialty society that brings forth its regular scientific publication, “Neurology India” [Figure 6]. It initiated the formation of guidelines for admission, training, and evaluation of students and for setting minimal requirements for starting an academic department. It expanded its multidisciplinary character by including nurses since 1978 and technicians since 1985 in the society. The Society of Indian Neuro Nurses (SINN) was formally launched in 1988 and runs a parallel meeting with the NSI at the same venue as the annual conference. The first conference for the neuro-nurses of India was initiated in 1978 in Trivandrum by Dr. A.K. Banerji and Dr. Jacob Abraham. 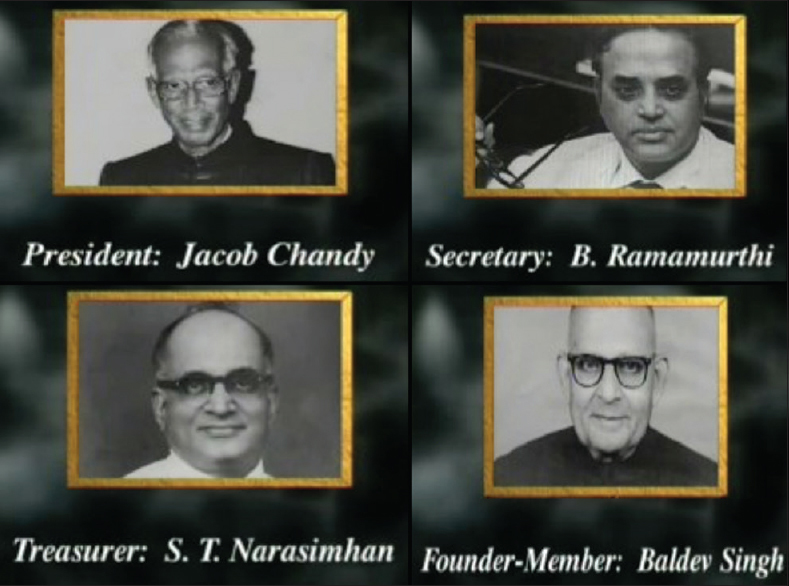 The first meeting of NSI was held in Hyderabad under the leadership of Dr. Jacob Chandy on 3rd March, 1952. The yearly meeting was held under the aegis of the Association of Physicians of India (API) during the early years. Since 1963, an independent meeting of the NSI was started. The first such meeting, the 13th Annual meeting, was held in Patiala with Dr. N.H. Wadia being the President of the society. The Neuroscientists at Mumbai had the first opportunity to hold the 5th Annual Conference of NSI at the Majestic Theatre in January 1956 under the leadership of Dr. Ram S. Ginde who was the President of the Society. The second opportunity for Mumbai to hold the NSI meeting came in January 1965 when the 14th Annual meeting was held at the Birla Matoshree Sabhagriha under the leadership of Dr. B.K. Anand. The third opportunity for Mumbai to host the meeting came in December 1971 when it was merged with the 3rd Asian Oceanian Congress of Neurology at the Taj Mahal Hotel. Thereafter, most will remember the millennium meeting in 2001 organized by Dr. Keki Turel at the Convention Centre in Powai. The fifth Mumbai NSI meeting (the venue of this oration) was held in 2013. Dr. Ginde's suggestion in 1956 that the post of the President of the Society should be rotated between the various subspecialties was followed for the first 40 years of the existence of the society. With the formation of the separate Neurological association, it has not been regularly followed since the 1990s. The logo of the Society was prepared by Dr. W Grillmayr in 1956. This Neurologist Neuropsychiatrist from Colombo was also the President of NSI in 1956–1957. The logo has since undergone minor modifications with the help of Dr. A.K. Banerji and Dr. M. Sambasivan in 1989, and recently in 2012 due to the changes induced in the printing technology. It has also recently acquired a byline “Established 1954. Premier Society of Neurosurgeons, Neurologists and Allied Neuroscientists” [Figure 7]. In 1968, the erstwhile President, Dr. Anil Desai raised the issue of acquainting the lay public with information on broad subspecialties of neurosciences, and a start was made with epilepsy. This endeavor has now grown into a full-fledged Indian Epilepsy Association (IEA) that comprises several patients, families, and support groups. A recent trend is to organize public awareness programs on various aspects of neurosciences along with the annual meeting of NSI. Epilepsy was the theme again in the Delhi NSI preconference program. Many of the members of the society closely interact with local groups and nongovernmental and governmental organizations with the aim of attaining the objectives of the public awareness programs [Figure 8]. The World Congress of Neurosurgery in Delhi was a landmark event for NSI under the president of the congress Prof. B. Ramamurthy and the able organization of Prof. A.K. Banerji. After the organization of this successful World Congress in 1989, Indian Neurosurgery grew by leaps and bounds. The number of training programs increased, and today we have approximately 80 teaching institutions attached either to the University or the National Board. Approximately 125–130 neurosurgeons qualify every year through these two streams. In the 1980s and 1990s, several young neurosurgeons went for specialty training abroad, mainly to Japan, UK, Germany, and the North America and brought back the concept of specialty work. Pediatric Neurosurgery became the first subspecialty society, followed rapidly by the Neurotrauma Society of India, Indian Society for Stereotactic and Functional Surgery, Skull Base Surgery Society of India, Indian Society for Cerebrovascular Neurosurgery, Indian Society of Neuro-Oncology, Associations of Spinal Surgeons of India, Neurospinal Surgeons Association of India, Indian Society of Peripheral Nerve Surgery, and Neuroendoscopy Study Group of India [Figure 9]. These special interest groups became attractive for young qualified neurosurgeons focused on their subspecialty. There are numerous CME courses and practical workshops organized by these various subspecialty societies but well-structured fellowship programs have been lacking. The limited strength of neurosurgeons in different departments forces the consultants to carry out general Neurosurgery work and does not allow them to pursue an exclusive practice in specialty work. This hampers the rapid growth of the prevents the delivery of specialized services to patients in particular, and to the society in general. There have been collaborative national projects on epidemiology of epilepsy, stroke and intracranial aneurysms undertaken by NSI members in 1970–1990. However, with the mushrooming of neuroscience societies within the country, the NSI has not been a favored forum for collaborative studies in recent times, although the society still has the potential to conduct collaborative multicentre research under its wings as it is one of the very few societies existing in the Indian medical field which still has a multidisciplinary organization. Joint meetings were started in 1967 when the Middle East Neurosurgical Society joined the NSI at AIIMS, New Delhi for the 17th Annual Conference. Thereafter, the 21st Annual Conference was merged with the Asian Oceanian Congress of Neurology which was held at the Taj Mahal Hotel in Mumbai. The World Congress in 1989 was probably the biggest event of Neurosurgery organized in India. The Congress of Neurological Surgeons (CNS), USA invited members of the NSI for the joint meeting in October 2009 at New Orleans, and subsequently, a joint meeting of the NSI with CNS was held in India in Jaipur in 2010. The Italian Society of Neurosurgeons invited the NSI for their 2010 Annual Conference in Milano and joined the NSI for their 60th meeting in Bangalore in 2011. The German Society joined NSI last year in Delhi in 2012 and their reciprocal meeting is awaited. NSI had members of the Pan Arab Society as the NSI guests for the year 2013 and were also joined by the American Association of South Asian Neurosurgeons and the Association of Indian Neurologists in America. In Coimbatore, NSI was joined by the members of French speaking Neurological Associations. The only source of income for the Society is the membership fees which goes in the corpus fund, and the day-to-day expenses are usually conducted by the surplus funds donated by the organizers of the annual meeting. 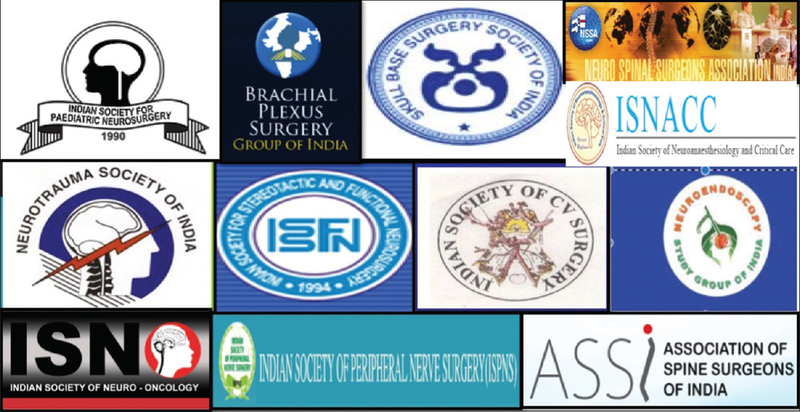 The major expenses of the society have been toward the membership fees of the World Federation of Neurosurgery for all NSI members, for establishing the subsection on Neuropathology, for publishing of the NSI journal named “Neurology India,” and for publishing the annual book containing the chapters that are based on the topics of the CME held on the first day of the national conference, named “Progress in Clinical Neurosciences.” As has been seen in most professional organization of this type, over 50% of the expenses go towards publishing of educational material and organizing courses and rehearsal MCh examinations for residents and young neurosurgeons. NSI also sponsors travelling fellowships to give opportunity to young neurosurgeons to visit other centers in the country. Recently, this facility has been extended for overseas fellowships as well. 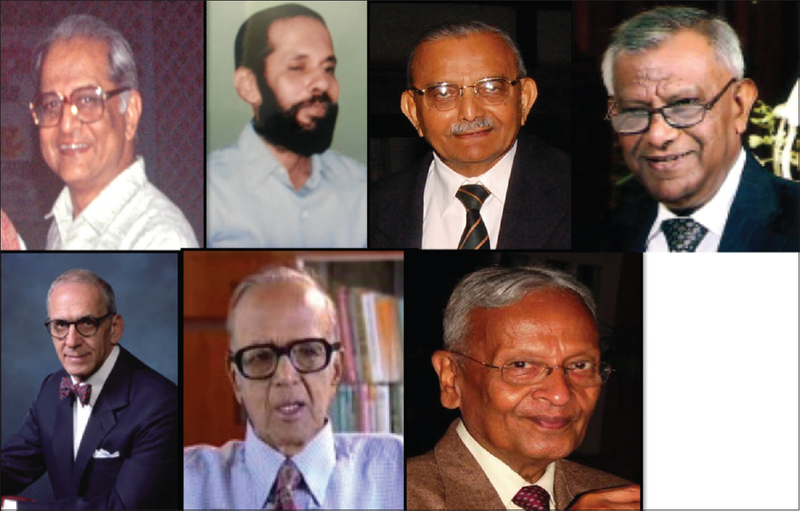 The task of retracing the history of Indian Neurosurgery has been made easier by historians appointed by the NSI in 1975, Dr. Ashok Bagchi and Dr. Sunil Pandya. They archived important facts from the NSI meeting documents, and Dr. Pandya compiled this in the commemorative volume in 1989 on the occasion of the World Congress of Neurosurgery that was held in India. The compilation was brought out in the form of a book entitled “Neurosciences – Retrospect and Prospect.” Another important publication on the history of Neurosurgery in India entitled “Neurosurgery in India” was published in “Neurosurgical Review” by Dr. A.P. Karapurkar and Dr Sunil K. Pandya, and by Dr T.D. Nadkarni, Dr Atul Goel and Dr S.K. Pandya in the “Journal of Postgraduate Medicine.” According to the latter article, some general surgeons had interest in Neurosurgery and developed skills in this field before the formation of NSI. Most notable amongst them were Drs. A.P. Bacha, G.V. Deshmukh, R.N. Cooper, A.V. Baliga in Bombay; N.S. Narasimhan, C.V. Vishwanatha Menon and U. Mohan Rao in Madras; Lt. Col. F.J. Anderson and Provat Sanyal in Calcutta, Col. R. Mirajkar and Baldev Singh at Lahore, and Balkrishna Rao of Mysore, who were the pioneers of Neurosurgery in India. The aim of the NSI is to continuously overcome numerous challenges that it is confronted with each day while remaining relevant and meeting the needs of all its members. There are several new issues that require an emergent decision. These include seeking new avenues and innovative methods to educate its members that include people of different experiences and levels, and to encourage subspecialty development within its rank, while at the same time coping with the competition that arises due the proliferation of several member societies. It should also be working on a national level to start nationwide trials, as well as training and examination paradigms; increasing international cooperation in the field of education and training; upgrading its members with the new information and technologies and enabling members to develop proper judgment on when or how to use these for the betterment of their patients. It also owes to the young trainees the development of guidelines for conducting a uniform pattern of training and examination throughout the country. It should also focus on the neurological diseases prevalent in the country and in developing treatment protocols for them. Another challenge is to keep the organization relevant for different groups of members such as Neurosurgeons, Neurologists, Neuropathologists, Neuroradiologists, and members of Allied Neurosciences viz. Neuroanaesthetists and Neuro-Critical Care Specialists, despite their divided allegiance to their primary societies. The newly qualified neurosurgeon looks up to the NSI for organizing skills training workshops not covered in their core basic training curriculum and representing the common interests of members in various governmental and nongovernmental forums; representing the facade of Indian neuroscience at the international platform and creating opportunities for all its members to present their academic work and innovations to an international audience. Finally, the society also looks at securing adequate funding and membership to keep all its dynamic projects running at full speed. Today, every member of NSI is at a crossroad. In this rapidly changing world of technological advancements and with the ready availability of information, it is essential to imbibe what is necessary for one's clinical practice and yet develop the insight and judgment to decide what is important, how to select the relevant knowledge and information, and the way that these efforts make a difference to the patients. The key to handling the rapidly evolving trends in knowledge and protocols, to keep oneself abreast with the latest information and technology and yet not to get overwhelmed by the vast “ocean” of information that one is confronted with on a daily basis is to use common sense, one's own experiences, lessons from those with more experience, as well as independent thinking and a good judgement. As a forum for interaction, NSI has been a successful model and has been relevant to generations of neurosurgeons so far, the future direction probably will make it an umbrella organization or a federation of various interest groups who could continue to pursue their special interests but also participate in collaborative projects to strengthen neurosciences in India and act as a medical, social, political, and more importantly a scientific force in the international medical community. Dr. B. Ramamurthi and Dr. A.K. Banerji for their inspiration and guidance [Figure 10]. 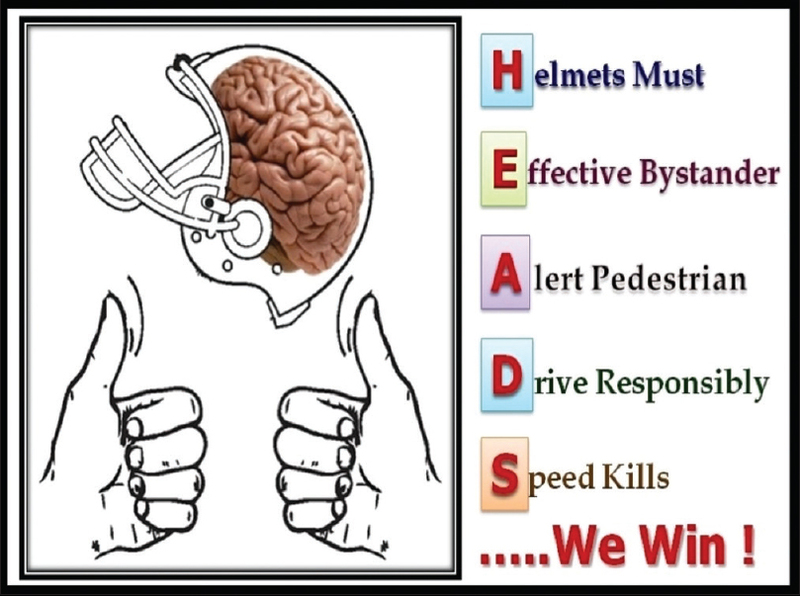 Neurological Society of India. Available from: https://www.google.co.in/url?sa=t & rct=j &q=&esrc=s&source=web&cd=1&ved= 0ahUKEwi8yfqfut3PAhXGv48KHQi4A3gQFggdMAA& url=http%3A%2F%2Fwww.neurosocietyindia.com%2F&usg=AFQjCNHwwa55Jxj75ymfOgJzt2rnPzOL-Q&sig2=KSURSzWdCXdQZ_8hL5X7AA. [Last accessed on 2017 Oct 15]. Pandya SK. Neurosciences in India: Retrospect and prospect. Trivandrum: Neurological Society of India; New Delhi: Council of Scientific & Industrial Research; 1989. Karapurkar AP, Pandya SK. Neurosurgery in India. Neurosurg Rev 1983;6:85-92. Nadkarni T D, Goel A, Pandya SK. Neurosurgery in India. J Postgrad Med 2002;48:332.